We've made no secret of the fact that we love everything to do with weddings. 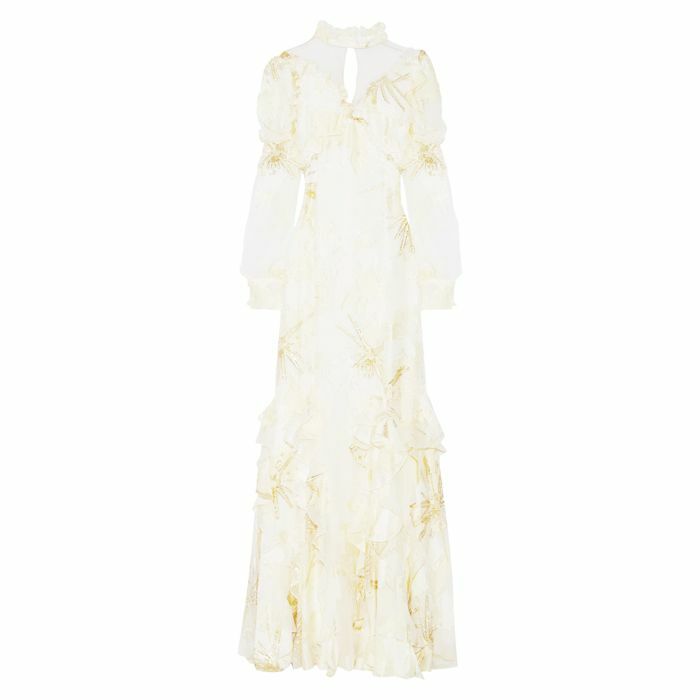 Whether that's finding out how fashion brides discovered their perfect dress or just providing you with stunning wedding guest outfits, we're all about the nuptials. 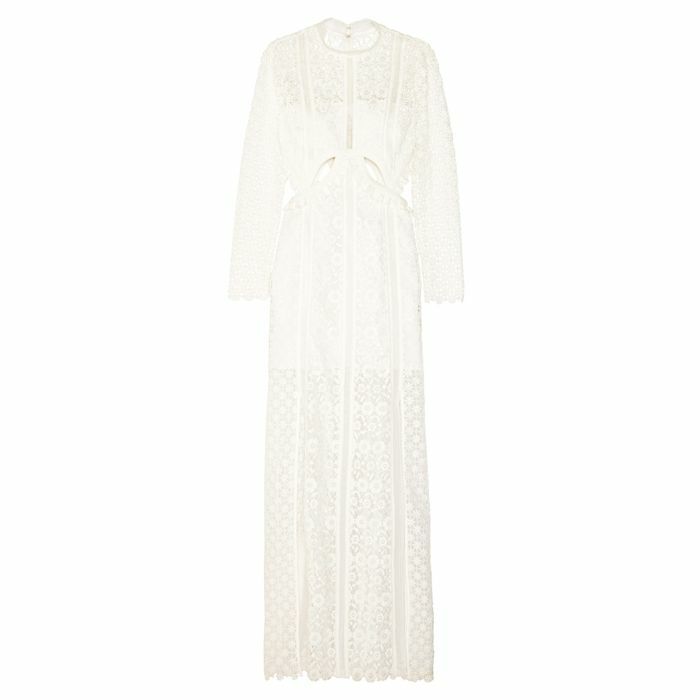 Right now, we're at the peak of the season (hands up if you're at a wedding every weekend this summer), so it's only natural we've been thinking about wedding dresses a lot. And where better to look at them than the wedding mecca itself? As we were looking at pretty dresses, we stumbled across one that has over 60,000 pins. That's a lot of repinning action going on. According to Wikipedia, that's more than the population of Greenland. We'll let that sink in for a moment: More than the whole population of an actual country have re-pinned this dress. It's that popular. So, what makes this one so incredible? We have one theory: It's all because of the sleeves. 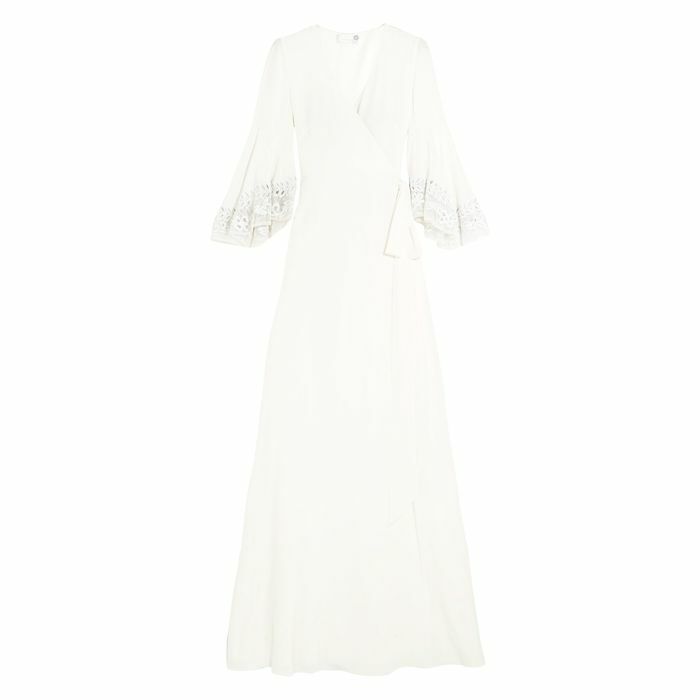 Keep scrolling to see it for yourself and to shop similar wedding dresses. Next up! The A/W 17 fashion trends you need to know about.